If you’re in show business, you would expect the media circus to be all about your personal life and love interests. Celebrities often date fellow celebrities, superstars dating supermodels, or rockstars dating reality stars, etc. We have power couples such as Beyonce and Jay-z, or Team ‘Kimye’ and ‘Brangelina’. The general public rejoice when their favorite couple get married and mourn when they break up. But there are a few select A-list celebrities who prefer to date ‘ordinary’ people. The media is all about these kinds of relationship, as the stories are heartwarming and touches to everyone’s Cinderella fantasy. Who wouldn’t want the poor girl meets rich and famous boy kind of story? This list includes 20 celebrities who married regular people who met in the most unexpected and surprising ways, from concert backstage to a supermarket! These non-celebrity spouses are living every fan’s dreams. Back in 2003, Matt Damon was filming a movie in Miami entitled ‘Stuck on You’. He initially had no plans to go out one night but his friends dragged him into a bar. That’s when he met his future wife, Luciana Barroso, who worked as a bartender in said bar. Grey’s Anatomy star “McDreamy” found the girl of his dreams when he went to the salon where she worked for an appointment. The two became attracted to each other immediately, but waited 3 years before they started dating because they were both still in other relationships. His wife still cuts Dempsey’s hair, and they still make regular appointments to the salon where they met, as a date away from their three kids. Jeff Bridges’ Wife Was A maid! 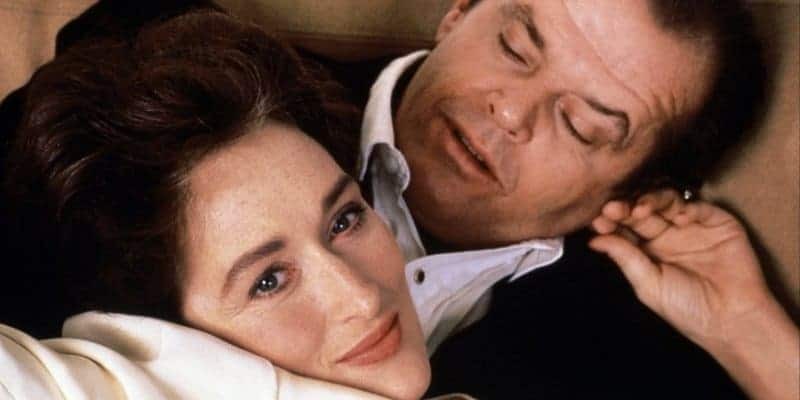 Their marriage is enviable and the most long-lived in Hollywood, but Jeff Bridges told Reader’s Digest that still vividly remembers the first time he met Susan Geston on the set. She was working as a maid on the set of his film ‘Rancho Deluxe’, and took him all day to get up the nerve to ask her out. When he finally did, she said no. Fast forwarding, the two have been together for 35 years. Jeff Bridges said he knew he was in love with Geston after a week and that she would be his wife. Julia Roberts met her paramour on the set of her 2001 film with Brad Pitt, The Mexican. She fell madly in love with cameraman Danny Moder, the only problem was, she was seeing someone else and he was married. That did not stop them getting married in 2002 after Moder’s divorce finalized. The couple have 3 beautiful children together — “I’ve got my Prince Charming. I’m good,” she told reporters. After briefly dating Jennifer Aniston during their film The Break-up, the two celebrities did just that. Then Vince Vaughn found love in a beautiful real estate named Kyla Weber and they married in 2010. 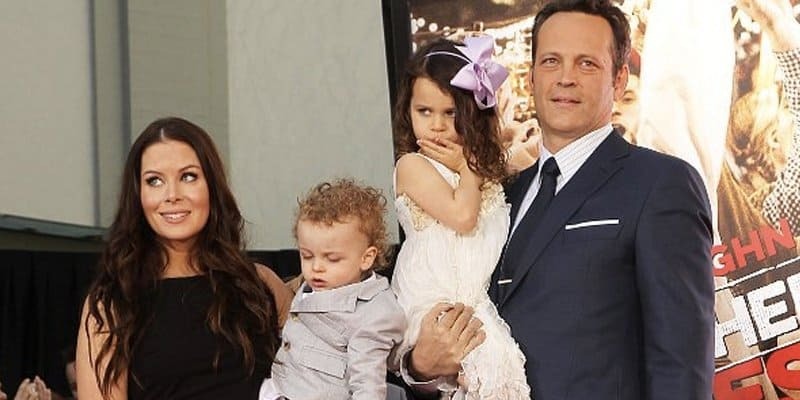 Vince Vaughn told The Ellen Show that he’s met the best girl in the world and if he’d met her earlier, he would’ve done it (marriage) a long time ago. How sweet of him! Meryl Streep was staying at a friend’s house until his brother came back into town from abroad. Apparently, the brother came back earlier than expected and the two met and quickly fell in love. Don Gummer and Meryl Streep have now been married for 35 years and have four children together. Gummer worked as a sculptor. During Streep’s 3rd Oscar win for The Iron Lady, she acknowledged her husband on her Oscar speech. “Everything I value most in our lives, you have given me.” she said. In 1998, Jerry Seinfeld met his future wife, Nina Sklar, at the gym, sweating out alongside each other on the treadmill. Funnily enough, Sklar was married and just recently came back from her honeymoon! 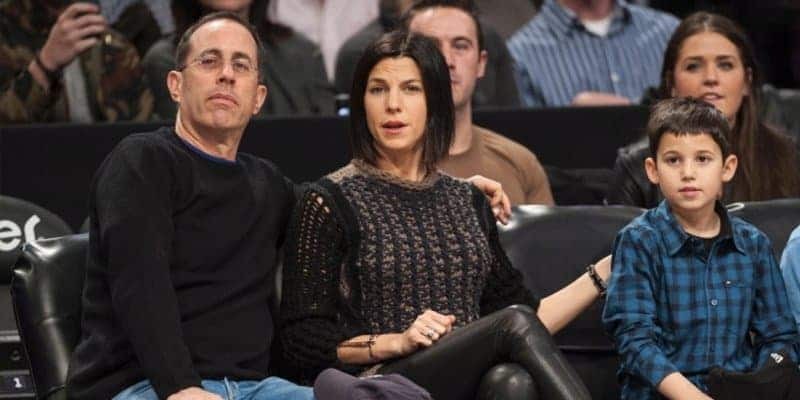 She filed for divorce just after four months into the marriage to be with Seinfeld. A year later, Seinfeld proposed and the two married thereafter. The two have three kids and are happily married. Fans often dream of marrying their idol, but a certain Adrienne Nesser is now living her dream. She is married to rockstar Billie Joe Armstrong! Nesser was a huge fan of Green Day and attended the Green Day Concert in 1990, where Billie Joe happened to spot her in the crowd. He requested for her to come backstage, and the two have become inseparable since. 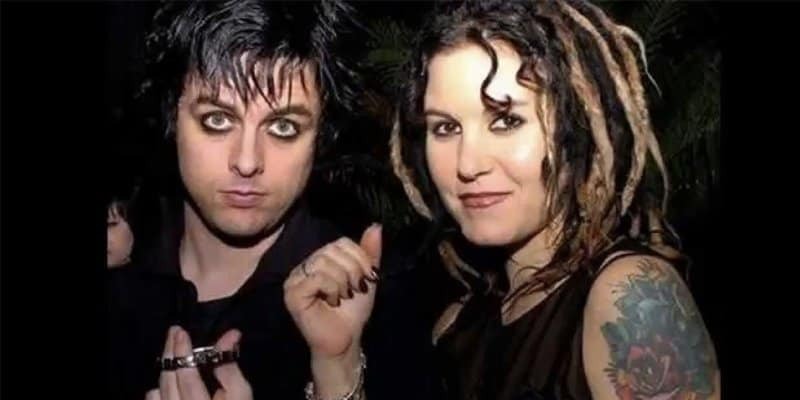 Adrienne Nesser and Billie Joe Armstrong married in 1994. They have been together for 21 years. Millions of fans mourned when in 2009 Kevin Jonas, 1/3 of the Jonas Brothers, got hitched early to Danielle Deleasa. They met in the beautiful island of Bahamas, when both their families were on vacation. They had their own E! reality show entitled ‘Married to Jonas‘ in 2012. 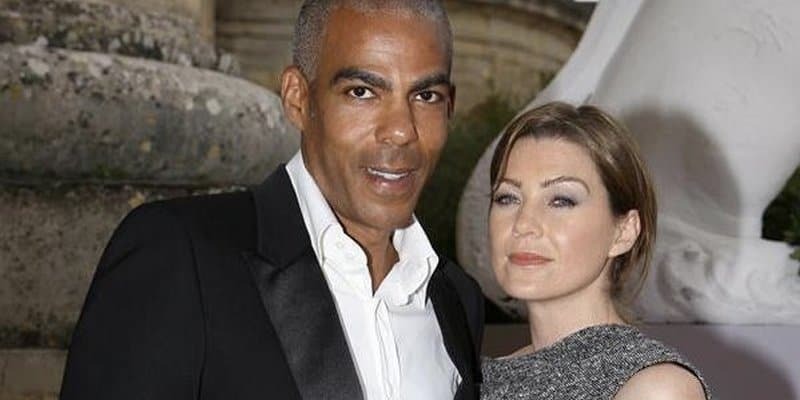 Grey’s Anatomy’s Ellen Pompeo met music producer Chris Ivery at a grocery store in Los Angeles. The two married four years after they met and have a daughter together. Ellen told People how she loved having someone like Ivery to share everything with. She said they have a strong bond, and considers her husband ‘a real companion’. 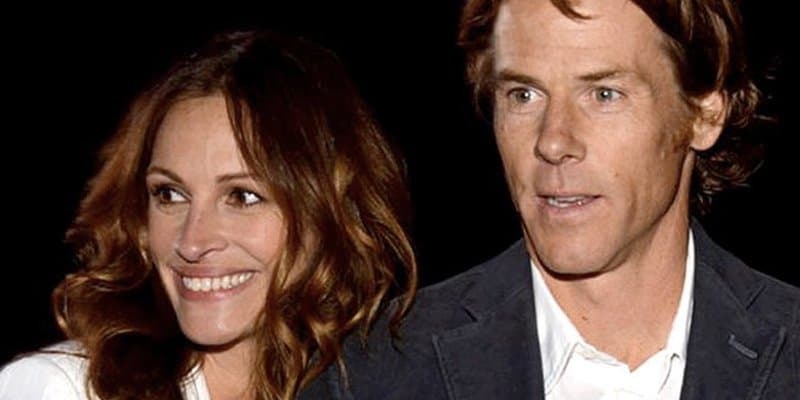 Christian Bale saw his future wife, Sibi Blazic, an one of Winona Ryder’s frequent barbecues. As it turns out, she was Winona Ryder’s personal assistant. The two fell in love fast and married in 2000. Prince William Married ‘Commoner’ Kate! Before Kate became Duchess of Cambridge, she was considered a commoner — and the most famous to become part of a monarchy! Catherine Middleton had a pretty ordinary middle class background. Her parents had a mail-to-order business selling children’s party favors. The eldest of three, she studied at the exclusive Marlborough College, Wiltshire. 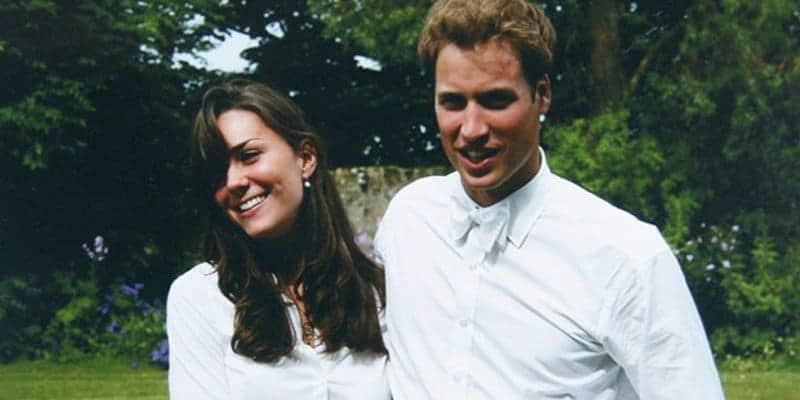 Kate met Prince William when they were studying in St. Andrew’s University. Elizabeth Banks, most known for her role in The Hunger Games, met her husband Max Handelman on the first day of college at the University of Pennsylvania in 1992. She hasn’t looked at anybody else since. They used their old love letters during their first years of dating as their wedding vows. 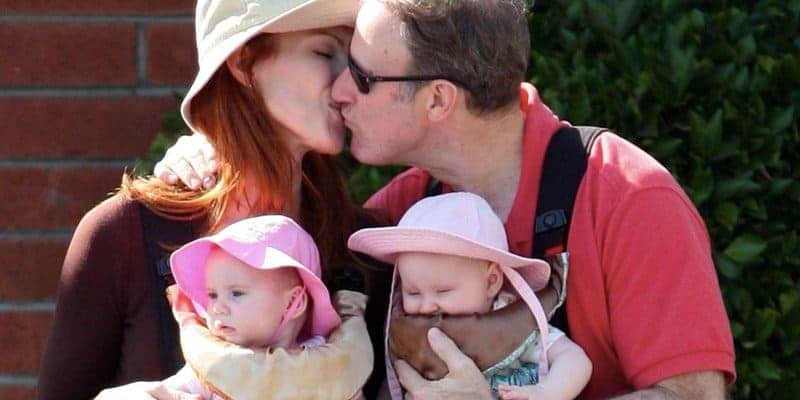 The couple welcomed a baby via surrogacy in 2011. 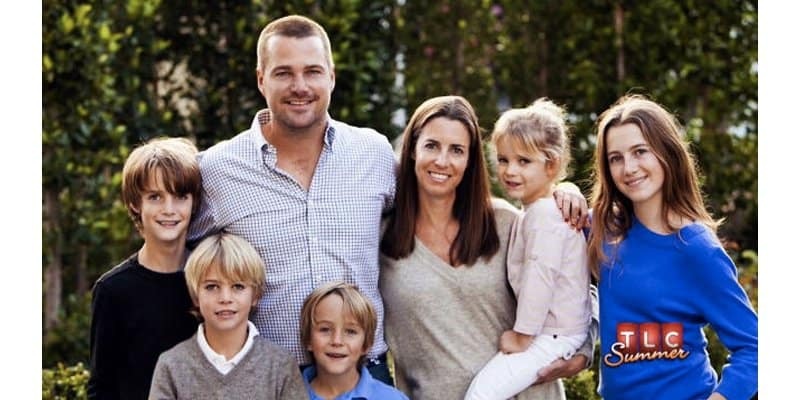 Chris O’Donnell, most famous for his role in NCIS: Los Angeles, married elementary school teacher Caroline Fentress and has not been with anybody else since. The two met while Chris lived in the same building as Caroline’s brother. O’Donnell stated in an interview with Redbook Magazine that when he first saw her, he then “knew there was something special about her”. They married after three years, and have five children together. Reese Witherspoon found love the second time around with Jim Toth in a bar. The two got together after a friend of Jim’s was drunk and made a complete fool of himself towards Witherspoon. Jim came to the rescue, went after Reese and apologized for his drunk friend’s rudeness. Although their relationship took a while to go public, they announced their engagement in 2010, and subsequently got married in March, 2011, at a private ceremony in LA. The couple welcomed their first child, Tennessee James, in September 2012. Cash Warren, a production assistant, is what some consider the luckiest man alive. He married FHM’s Sexiest Woman on Earth, Jessica Alba. The couple met on the set of Fantastic Four, a film Alba was starring in. Warren was a production assistant on set. The lovebirds have been together since, and have two children together. Marcia Cross is most renowned for her role as Bree Van de Kamp in Desperate Housewives, one of the biggest shows to air on TV. She’s always been a career woman who puts her profession first before her personal life, but after her big success in Housewives, she started evaluating her priorities. She made the first move when she spotted Tom Mahoney, a regular Joe, in a flower shop. She left her number with the store owner to give to Mahoney. Currently, the pair are still in love and happily married with twins. Nicolas Cage, the nephew of legendary Francis Ford Coppola, has starred in 100 films to date. Cage was a frequent visitor at a sushi restaurant that his current wife was working at. 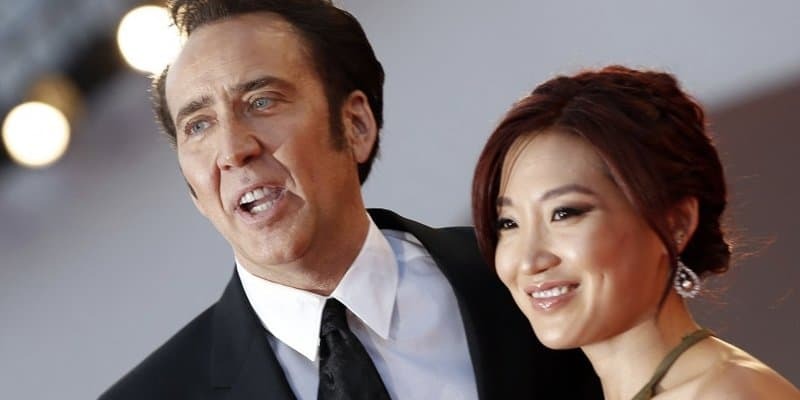 The two fell in love quickly, with Cage proposing to Alice Kim after only two months of dating. The two have been married for eleven years this year, with this being Cage’s third marriage.